Donate to our Association in order to provide the above items so each officer can go home after their shift is completed. Help us protect those who protect us! Your Efforts Can Help Save Lives! Sample First Aid Pack - Our officers are trained to apply immediate first aid in any situation. 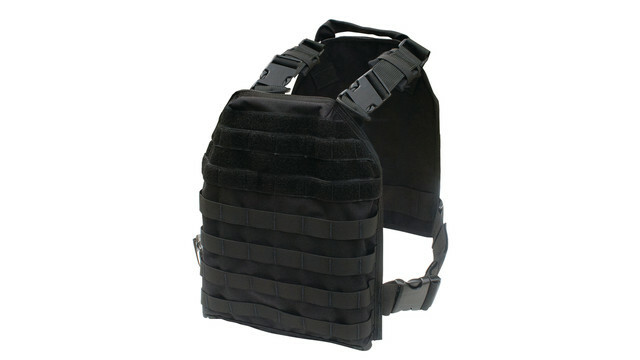 For easy access, the bag is super compact and can be worn on a duty belt or mounted in the vehicle. It is imperative for each officer to have access to a fully stocked first aid kit. Our officers don't want to be standing around waiting for the EMTs to arrive. Immediate first aid can and does save lives! ​When using your credit card or paying by check, 100% of the donations from this drive will go toward providing these life saving plates and first aid packs to the Myrtle Beach Police Department.